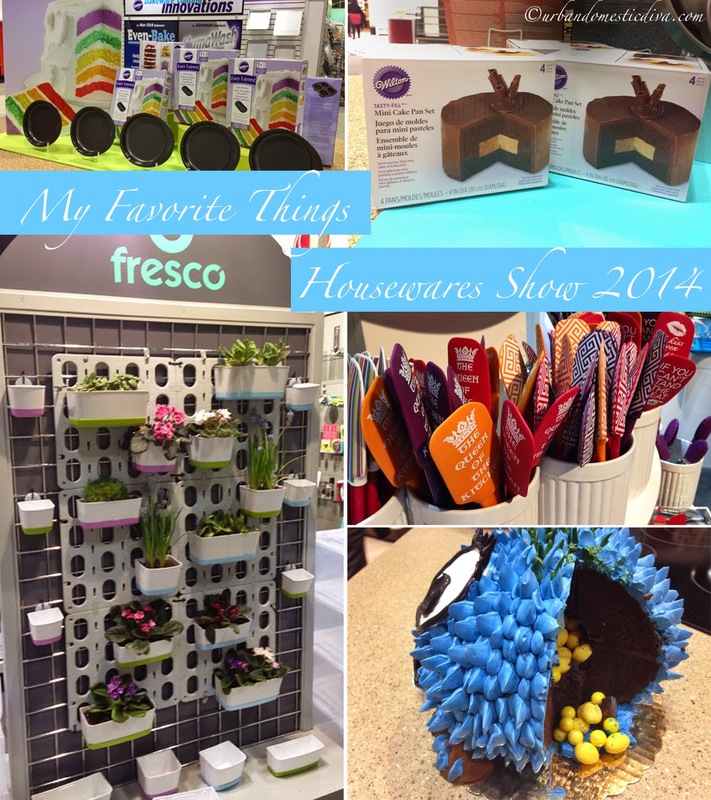 I was so fortunate this year to be able to walk the housewares show in Chicago. Needless to say, if you have ever have been to McCormick Place for a trade show, you will empathize with my poor aching feet and back by the end of my visit. It was a really fun show, with dizzying arrays of new culinary wonders and gadgets that promise home and hearth bliss. I could have spent another day there, truthfully. But from what I did see, a handful of things stood out for me as "Shut up and take my money now!" cool. Here are my top faves. Some of these are still hitting the market. Some you may have seen here or there. This company has some really cool brands within it's company. But this display stopped me dead in my tracks. I love gardening, and I have seen a lot of vertical gardening on Pinterest. This kit seems to make it really turnkey-no hammers, nails and wood. This is really easy, and probably could work outside or in. 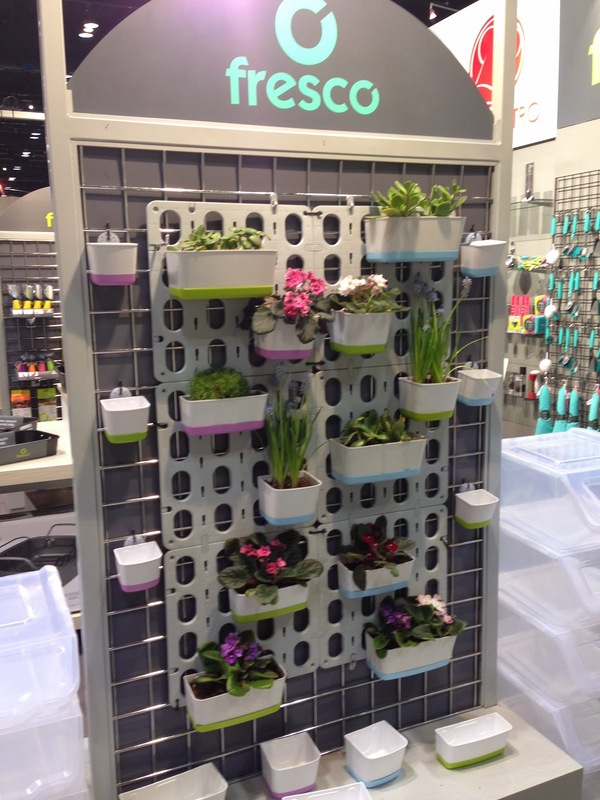 If you have a bright kitchen or bath, imagine a whole wall with plants? The moisture in your bathroom would keep things really green. And because the kit is all plastic, it can hold up to all that moisture. It looks really easy to install, too. The draw back, I don't think it's in stores yet, or even on their site. But follow them on FB and email them to find out more info if you are interested! 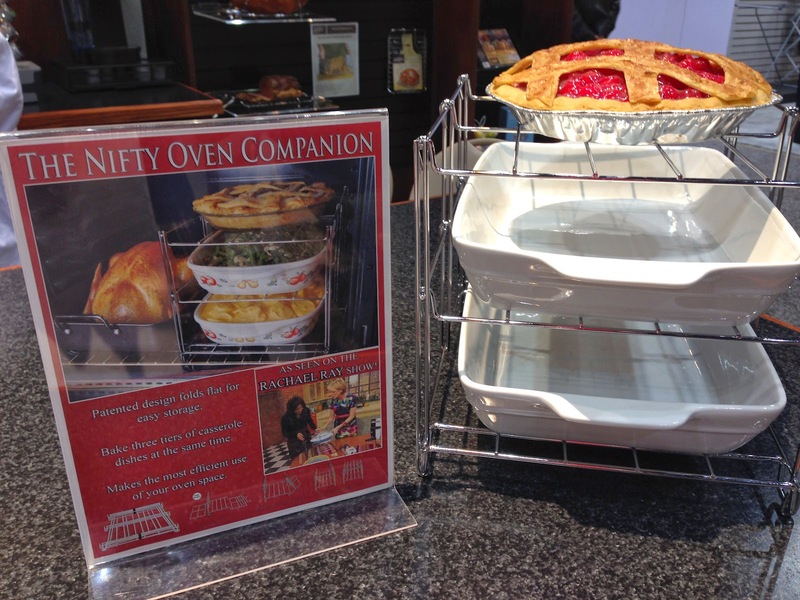 If you have a ton of people over for the holidays, and you have only one oven, this "nifty oven companion" is a MUST HAVE. You can fit three pans right next to your turkey or ham. They have some other tiers and sizes, but this one for me was the winner. We had my husband's family over on Thanksgiving (10 adults, 13 kids) in my small vintage house. I wish I had this to help with getting food out! (Just remembering that day gives me shivers. Stress.) 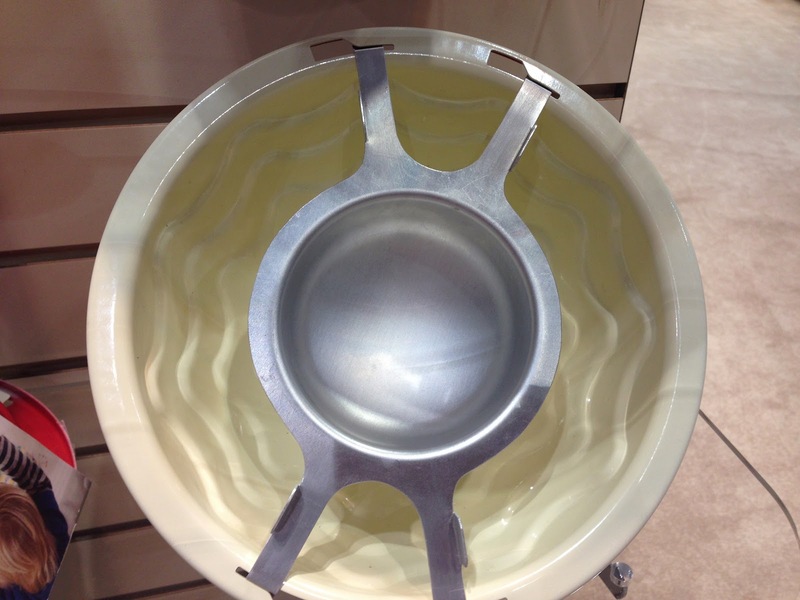 Buy it at Bed Bath and Beyond, or go to their site to see where else you can buy it! OK. Admit it. 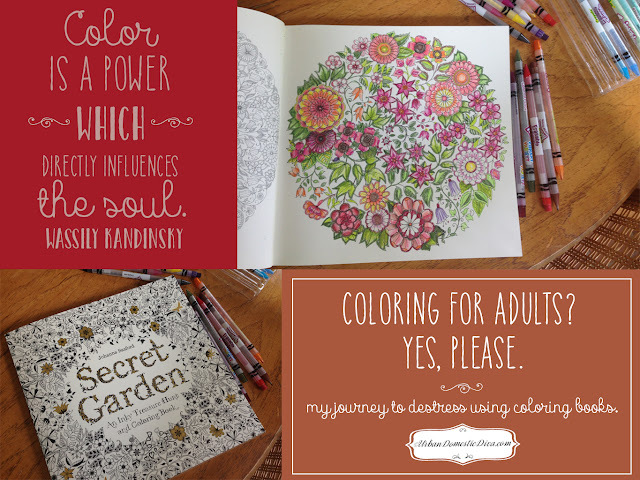 You want 10 of these, every saying and every pattern and color? Right? These are just super fun. Period. 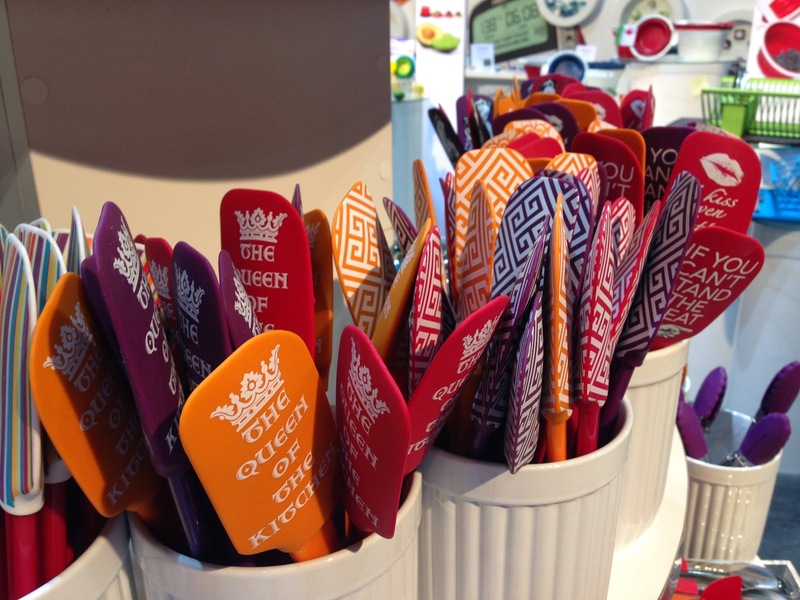 Throw away that old, cracked, white spatula and get a spatula that is as fabulous as you are in the kitchen! Here's the bad news, I cannot find the notes I took about which booth these lovelies belonged to! I know, I know! I am harassing my colleague who walked the show with me, to see if he remembers! I will update this if we figure it out. I think it might be KitchenAid. But these are so new (if that's the case) that they are not on their website yet-so stay tuned. I'll get to the bottom of it, because I want to buy some, too! This booth caught my eye because it was so shabby chic cute, and...well, the gorgeous truffles all over the place wasn't too bad, either. 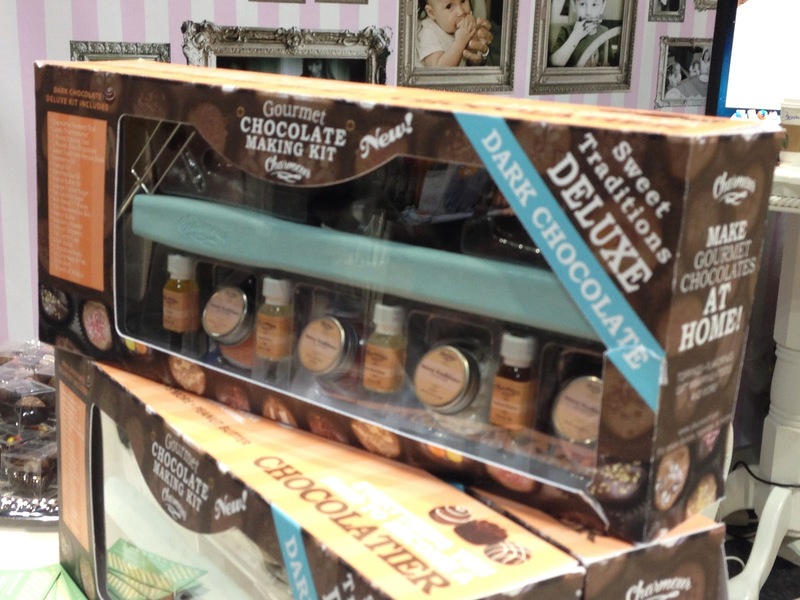 This is a soup-to-nuts Charmeur chocolate truffle making kit. It comes with different flavored oils, extracts, sprinkles, tools, and cocoa. 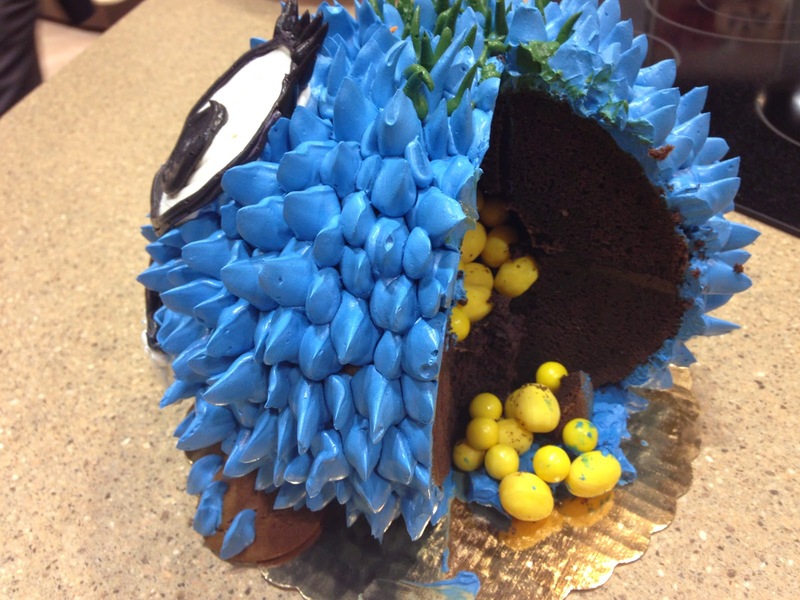 These kits are a big hit for parties, and kids get into the fun too! I sampled a mint truffle, and it was delicious. You can get this kit at http://charmeur.com/. Anupy Singla from Indian As Apple Pie has launched her own line of Indian sundries, spices and this wonderful (patent pending) spice tiffin. 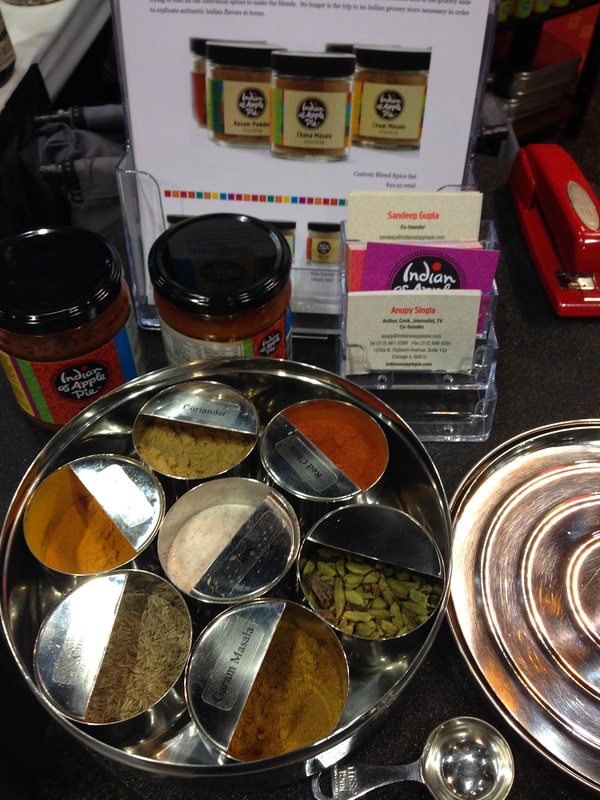 This is Anupy's version of a traditional Indian masala dabba. The half moon design on each spice container makes measuring super easy. And the tiffin keeps all your Indian spices stored in one happy place instead of a cacophony of bottles, jars and bags taking over your spice cabinet. Find out more about Anupy's Indian cooking magic at http://www.indianasapplepie.com and you can get the spice tiffin with spice levelers here. First and foremost, Takeya drew my eye from the really hot packaging design, then the flavor profiles kept me there. They have a really nice line of teas. 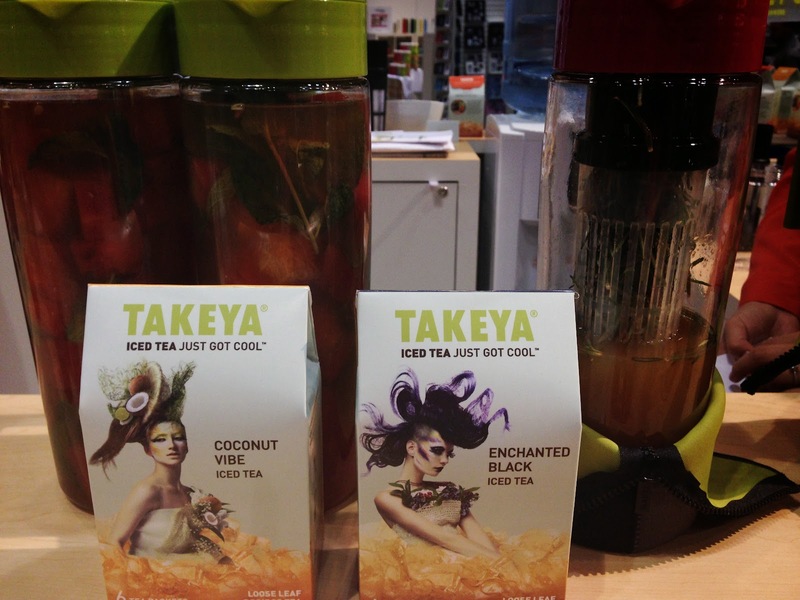 But my favorite thing they had is the iced tea beverage system. You can infuse herbs, spices and other fruits in the center core of their carafe as you brew your tea. I tried their rosemary lemon iced tea and it was to die for. The picture above is pretty dark, but the carafe to the right has the center filter jammed packed with fresh rosemary sprigs. They have a recipe book I REALLY wanted, too. 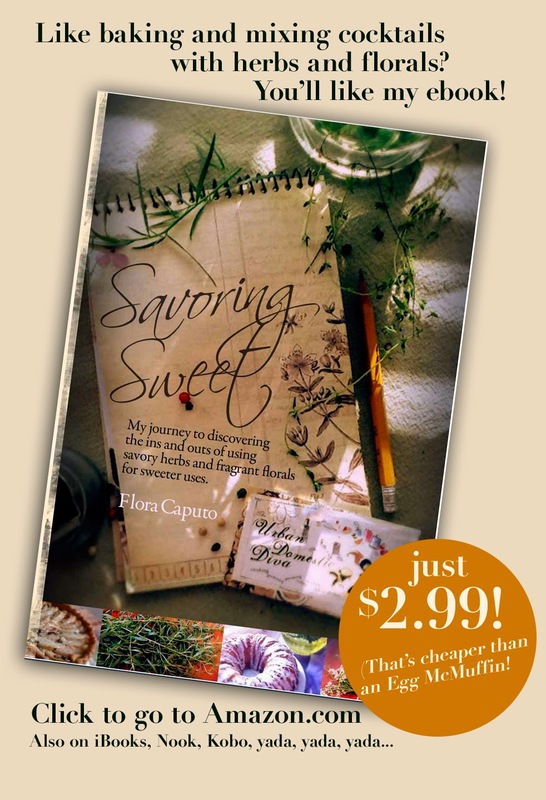 The ladies were super friendly and we shared our love of botanical drinks and baking (I plugged my own ebook, Savoring Sweet-of course!) 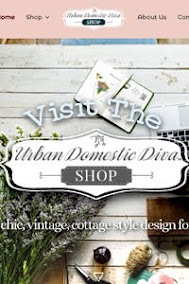 They have great recipes on their site, as well as being able to purchase product on there, too. There are other retailers that carry the beverage system, too. 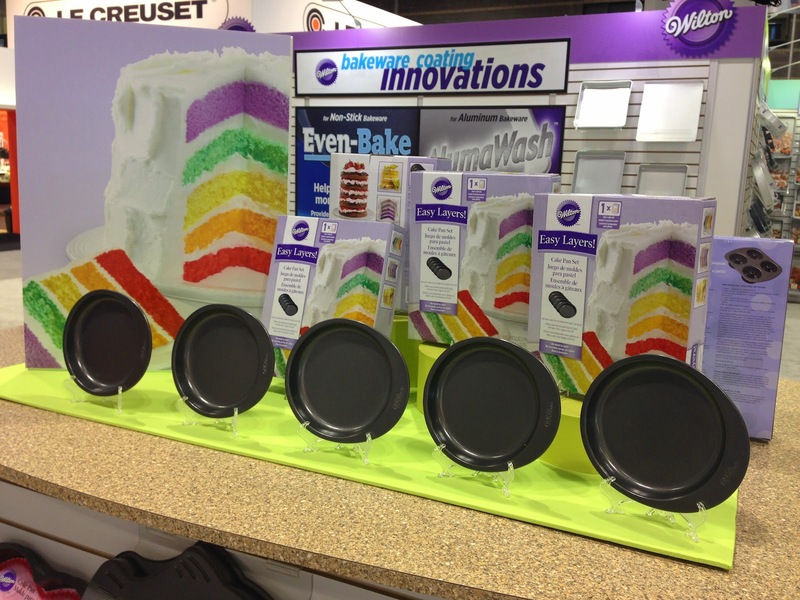 Wilton, a legacy brand, has done some serious innovating over the years. 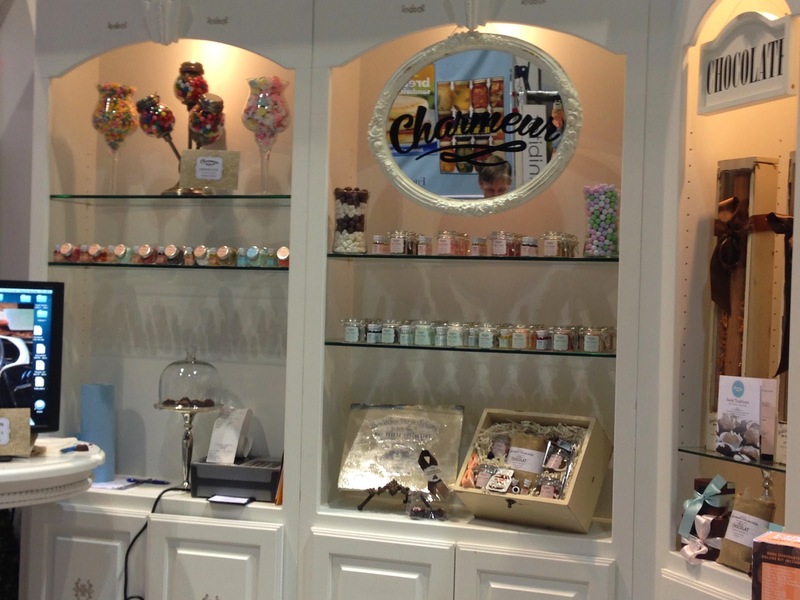 Their booth was really large, with a flurry of decorating sprinkles, walls of Candymelts, and stacks of bakeware. My two favorite things are above. 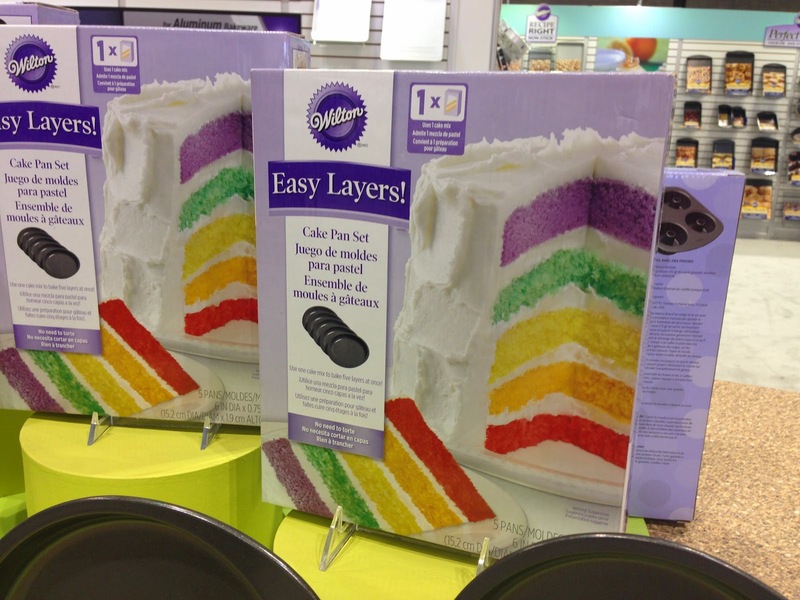 The ombre cakes all over Pinterest are a mystery NO MORE with the "Easy Layers" cake kit. 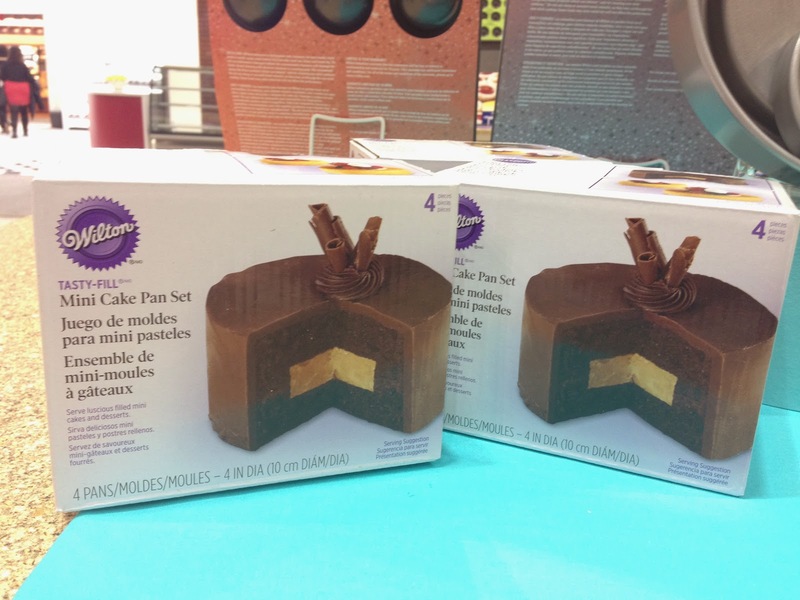 And having different cake middles, with different shapes, is easy with the "Tasty-Fill" cake kit. 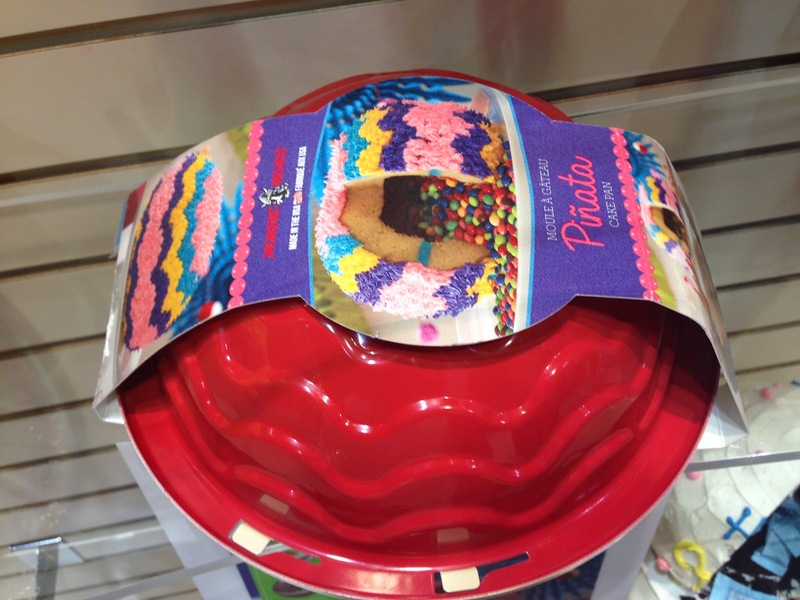 Many retailers carry Wilton products. These two products can be purchased here and here. This may be one of my FAVORITES. 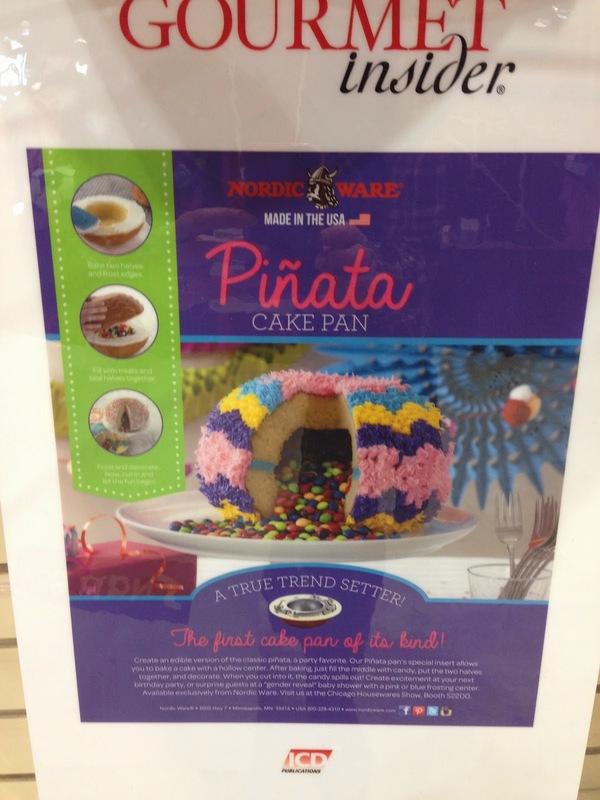 It's called a pinata cake kit from NordicWare. 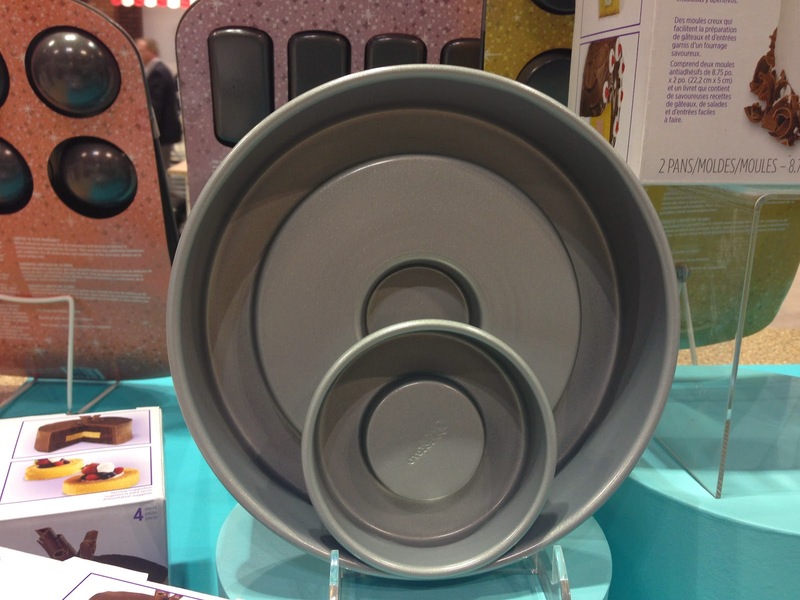 I have really been enjoying some of their new products lately, like their doughnut bake-pan I bought at Target. 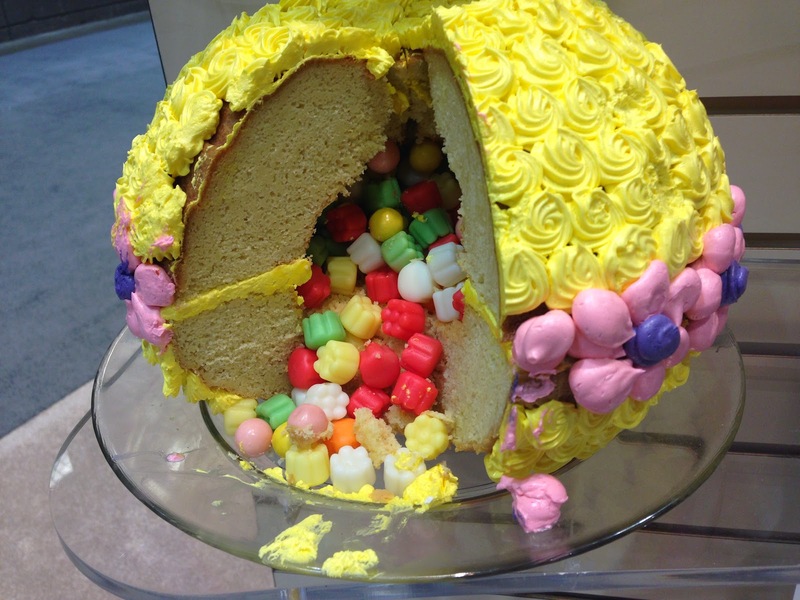 This cake kit allows you to assemble a cake with a hole in the middle. And as you can see, the possibilities are endless. 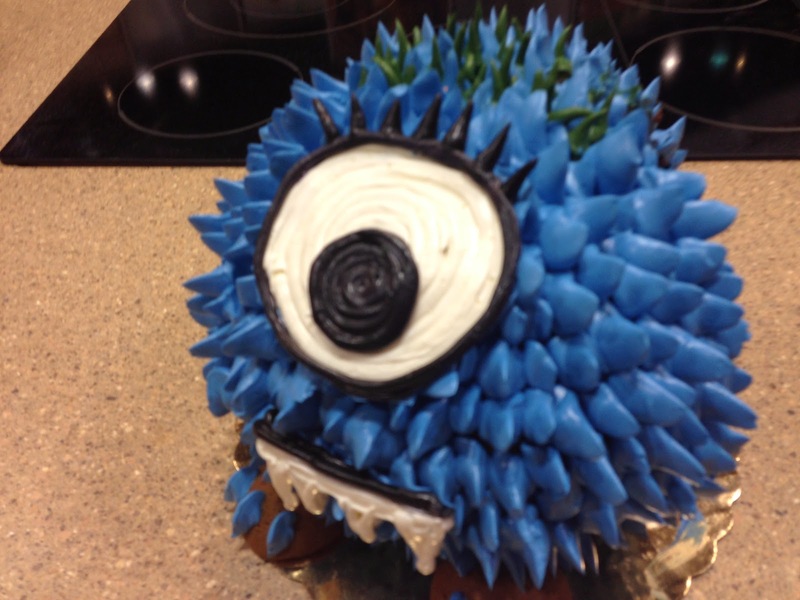 You can do something gooey and gross in the middle for Halloween. 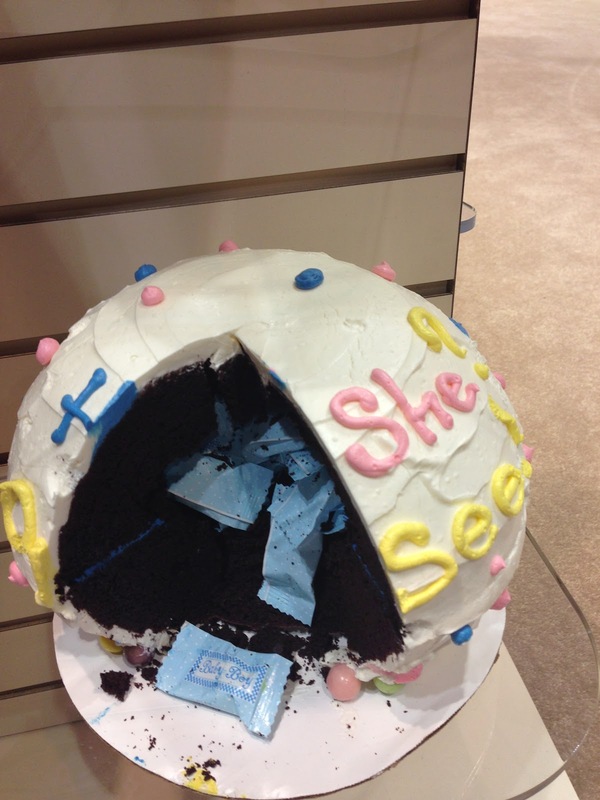 Baby shower surprises can be hidden in the middle of a cake. How about...an engagement ring hidden in the middle? Yup. this one is a winner. Keep your eyes open for when this hits stores. The product reps at the booth said they were finalizing packaging and coming to stores really soon. I suggest following their social assets. I am sure they will announce the hard launch there. 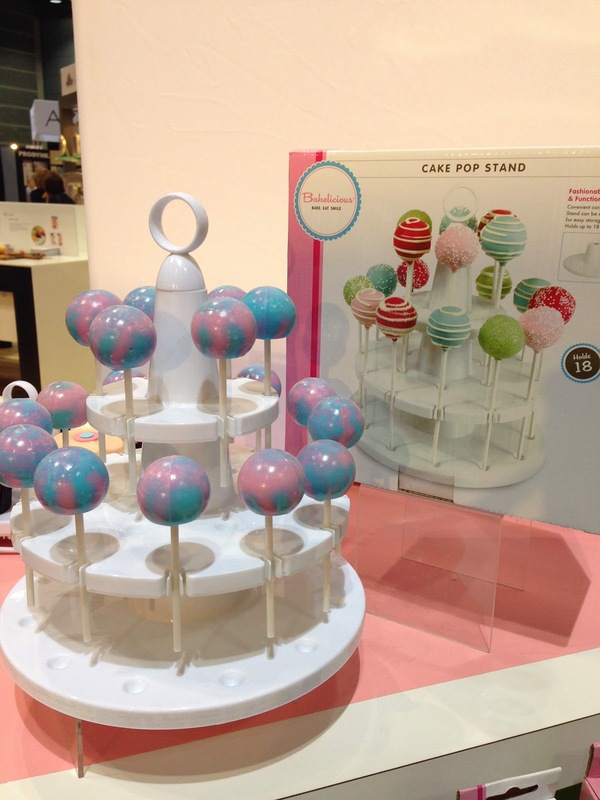 This was such a cute booth, and such a great line of new products. 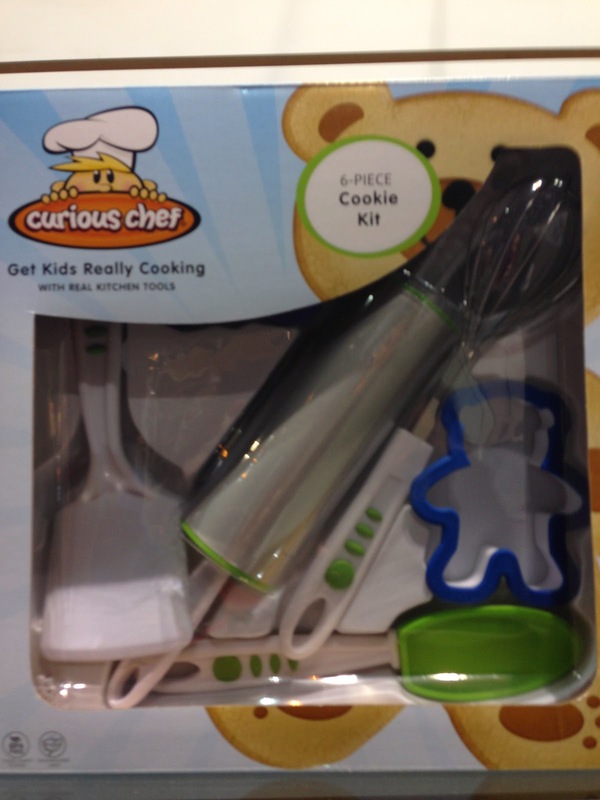 It is called "Curious Chef" and you can get your little one engaged in cooking at a very young age with these cooking tool kits. 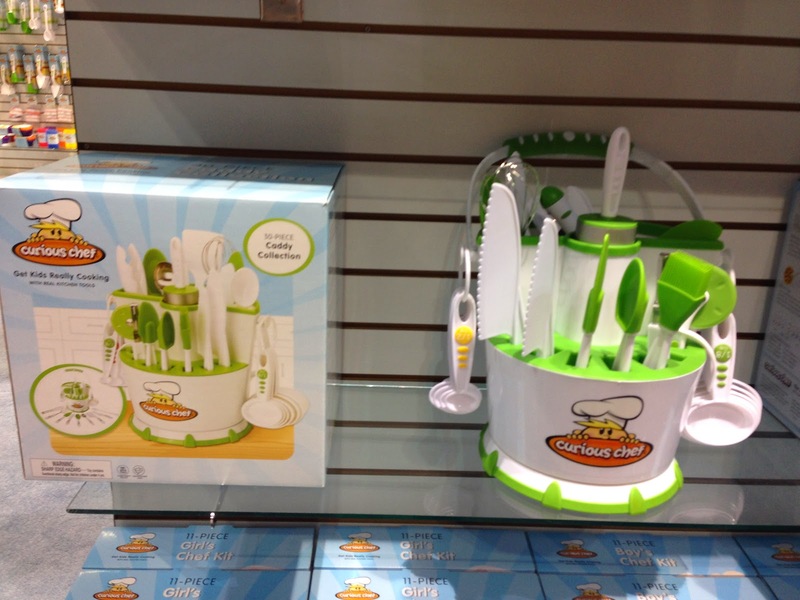 They are perfect for little hands, but durable enough to do some really serious cooking with mom and dad! They have really great branding and packaging. The tools look to be really high quality. 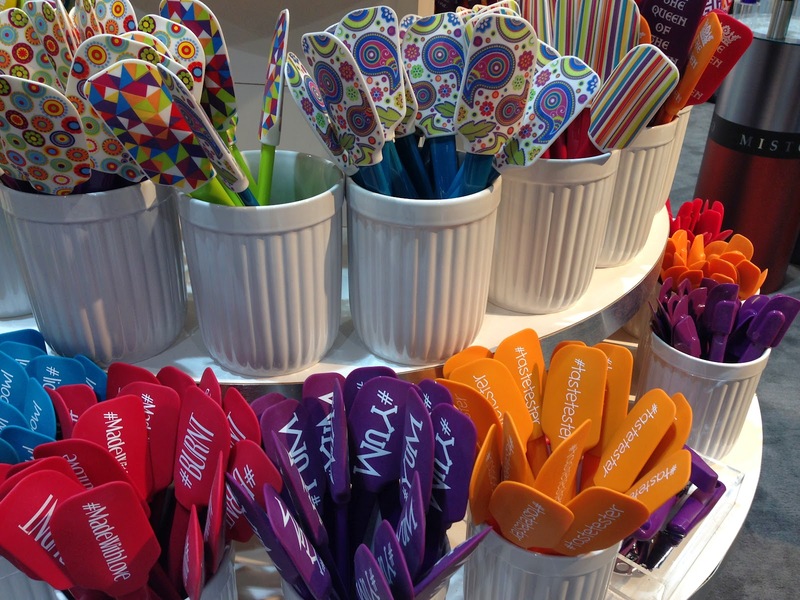 They are not in retailers yet, but they received some really good buzz at the show. You can purchase these adorable kits on their website at http://curiouschef.com/ and on Amazon. There was much, much more. But hopefully this gives you some inspiration to check out and support some of these great brands and products-new and old. One thing is for sure, the next show, I am wearing gym shoes!